Acquired by Carter Towler on behalf of Towngate Plc, the freehold property was previously occupied by wholesaler Palmer & Harvey. 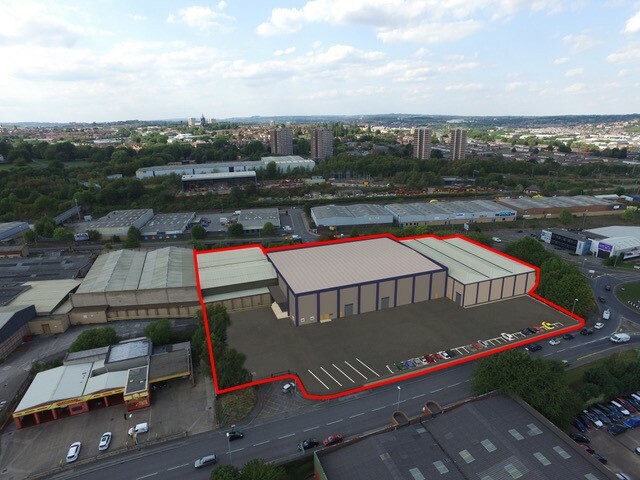 Located at 135 Gelderd Road – less than one mile from Leeds city centre and the motorway network – the site is excellently located within Leeds’s prime industrial/trade area, and complements Towngate’s existing portfolio of properties in the area. Josh Holmes, director at Carter Towler, said: “Interest in the site is already encouraging, with occupiers expressing enthusiasm regarding the proposed works. With plans in place to conduct a full refurb, Towngate is on track to transform it into a highly sought-after warehouse space – perfect for companies operating in the urban logistics and trade leasing market. Property manager Tom Lamb said: “We are delighted to add yet another warehouse unit to our portfolio of Leeds properties on Gelderd Road. It’s in a prime location, whilst its highly functional space has tonnes of potential which we can’t wait to build on.